Our ﻿vibrant Sunday worship service is a blend of traditional styles with updated language and dynamic liturgy and the arts including adult choir, kid’s choir, bell choirs, special music, drama, and children's stories. Nursery care is available as needed, though everyone is welcome in our worship service. 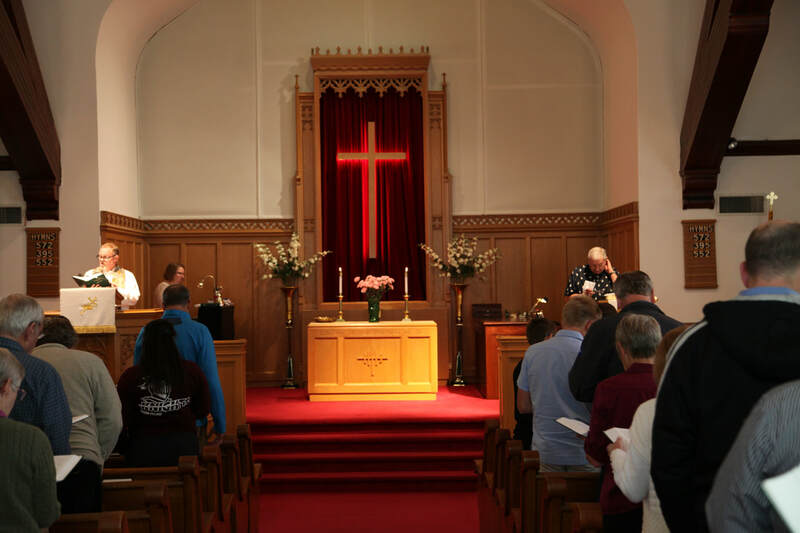 Lenten Worship: Each lent we gather with the United Church of Christ Congregations around Lake Geneva on Wednesday evenings to share soup and desert followed by worship led by our pastors. Easter Sunrise Service: Every Easter Sunday our congregation has a tradition of gathering before dawn in Library Park to celebrate the resurrection of Jesus. Christmas Eve: We celebrate the birth of Jesus each Christmas Eve at 7:00 PM with a service of special music and scripture.